Many skin problems are associated with hyperkeratinisation, which is the accumulation of excess dead cells on the surface of the skin. 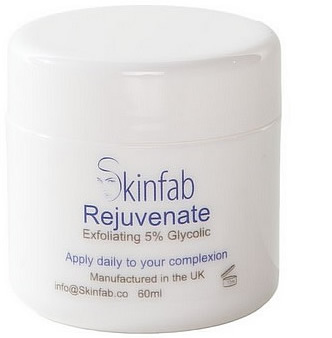 This in turn can contribute to the dull, coarse, rough, blotchy and dry appearance of ageing skin. Rejuvenate works by loosening the bond between these dead skin cells allowing them to be gently removed, thereby promoting healthier skin cells to the surface. Improve Blotchiness and Irregular Pigmentation. Improve Appearance of Shallow Scars. Improve the Appearance of Fine Lines and Wrinkles. Decongests the pores reducing the possibility of spots. Controls excess oil production. Encourages skin cell turnover and boosts collagen production, tones skin. Ideal for normal skin, Sensitive skin, Sun damaged or blemished skin. For oily, combination and/or acne prone skin. Helps reduce the appearance of acne scarring, fine lines, wrinkles and blemishes. Hyaluronic Acid: Has as a profound moisturising effect on skin. Retains water like a sponge, absorbing more than 1000 times its weight. This helps to attract and maintain water within the skin space, hydrating your skin and increasing its volume and density. Hyaluronic acid is also involved with the transport of essential nutrients to the skin's viable cells. Hyaluronic acid provides volume, helping to contribute to the skin's overall appearance. Panthenol (Vitamin B5): Penetrates the skin easily providing enhanced moisturising properties. Encourages new skin growth. Soy Protein: Soy is rich in amino acids and peptides, which provides antioxidants to the skin along with protection from UV rays. It saves the skin from wear and tear and nourishes the skin by reducing cholestrol under the skin. Directions: Apply to the entire complexion once at night. As make up should not be worn over this cream we recommend applying this cream at bedtime.